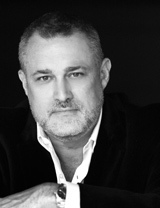 Jeffrey Hayzlett is a global business celebrity; primetime television and radio show host; best-selling author; sought-after keynote speaker; and sometime cowboy. From small businesses to international corporations, he puts his creativity and extraordinary entrepreneurial skills into play, launching ventures blending his leadership perspectives, insights into professional development, mass marketing prowess, and affinity for social media. Jeffrey is a leading business expert, cited in Forbes, SUCCESS, Mashable, Marketing Week and Chief Executive, among many others. He shares his executive insight and commentary on television networks like Bloomberg, MSNBC, Fox Business, and C-Suite TV. Hayzlett is a former Bloomberg contributing editor and primetime host, and has appeared as a guest celebrity judge on NBC’s Celebrity Apprentice with Donald Trump for three seasons. He is executive producer of a number of global television projects and is a frequent contributor to the American Marketing Association’s AMA TV and Marketing News publication. With a strong following in business and social media communities, he’s recognized as one of the top 10 c-suite Twitterers and a key influencer in the social media landscape. Jeffrey hosts C-Suite with Jeffrey Hayzlett and Executive Perspectives on C-Suite TV. On C-Suite with Jeffrey Hayzlett, Jeffrey takes viewers inside the c-suite of some of the world’s biggest companies, including Domino’s, Dunkin’ Donuts, Cadillac, and more. Hayzlett asks the tough questions to get to the bottom of business, and discovers what makes c-level executives tick. On Executive Perspectives, Jeffrey interviews business executives, thought leaders, and innovators live on stage, with interviews being recorded in front of live audiences. He brings viewers a front row seat to some of the most interesting and innovating game changers in business today. Jeffrey is also the host of All Business with Jeffrey Hayzlett, which airs on CBS on-demand radio network Play.It and C-Suite Radio. Jeffrey goes inside the good, bad, and ugly of recent business results from some of today’s biggest headline makers. He interviews business celebrities like Gene Simmons, Barbara Corcoran, Daymond John, and Kevin Jonas, in exclusive one-on-one interviews to discuss their business successes, failures, and strategies they’ve utilized to make it big. Jeffrey’s third book, Think Big, Act Bigger: The Rewards of Being Relentless, released in September 2015. Marketing has never been more complicated and impactful as it is today, leaving many marketers contemplating the best moves for their brands. As a former Fortune 100 CMO, Hayzlett speaks to audiences on how to utilize the changes in marketing to reach new audiences, navigate through barriers, and increase revenues. Whether it's selling to the c-suite or selling to your neighbor down the street, everyone has a different buying personality. Does your audience know how to recognize different buying personalities and how to adapt their pitch? Hayzlett teaches sales teams how to create a winning elevator pitch, and how to pick out the different personalities and close the deal every time. In Hayzlett's opinion, the job of leaders is to motivate the company by getting everyone away from the center of the table to the edge of the table. A leaders job is to cause tension to drive results. Hayzlett takes audiences through a radical transformation, teaching the values of honest transparency, motivation, and leadership skills he's honed over 26 years in business. A company is only as fast as it's slowest common denominator, and Hayzlett seeks to find these issue and problems slow businesses down like a heat seeking missile. As a former Fortune 100 c-suite executive, Hayzlett has the experience and understands the complexity of top-down management. From both his work as a c-suite executive and his television show C-Suite with Jeffrey Hayzlett, where Hayzlett enters the boardrooms of the top companies changing the business landscape today, Hayzlett shares his personal knowledge and the stories from executives featured on the show to audience around the world.